Me and My Friends have announced their new album ‘Look Up‘, released December 14th via Split Shift Records. Album highlight, ‘High As The Sun’, has been released as a first taster. 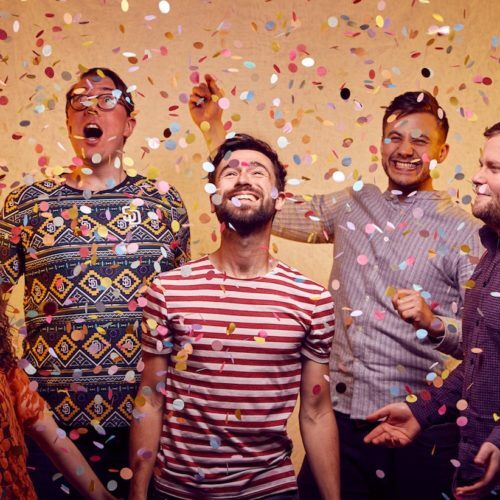 It’s a gorgeous sun-drenched track with a chorus that’ll keep you warm throughout winter. On their new album ‘Look Up’, the elegant voice and West African finger-picking guitar style of songwriter Nick Rasle is cradled by stunning vocal harmonies and the evocative combination of cello and clarinet, all underpinned by a rhythm section with a deep sense of groove. ‘Look Up’ draws heavily on early 70s acoustic soul, as well as the modal ‘Ethiopiques’ of Mulatu Astatke and the minimalism of the Penguin Café Orchestra. Built on deceptively simple, yet richly satisfying grooves, the songs explore timeless themes of friendship (‘Another Lifetime’), commitment (‘Promise Me This Much’) and nostalgia (‘High As The Sun’). Having worked in a volunteer kitchen on the Greek island of Lesbos at the height of the refugee crisis in 2016, Nick Rasle recounts a tale he heard over and over on the haunting roots reggae track ‘Good Life’. Drawing on the determination of the people he encountered to feel hope, to look forward and to be acknowledged, the song is a call for empathy and understanding in our increasingly intolerant society. From the title track ‘Look Up’ with its energetic afro-beat, addictive melody, and jazzy breakdown, to the atmospheric ‘All Of This I Know’ that has clear influences from avant-garde British folk, the album takes the listener on a journey through many genres and cultures. Me and My Friends released their critically acclaimed second album ‘Hide Your Way’ on Soundway Records in 2016. After support from the likes of Songlines, BBC Radio 2, BBC Radio 4 and BBC 6 Music in the UK, the group also had recognition from nu-jazz DJ, Will Holland, as the album headed up Quantic’s ‘favourites of the year’ mix. 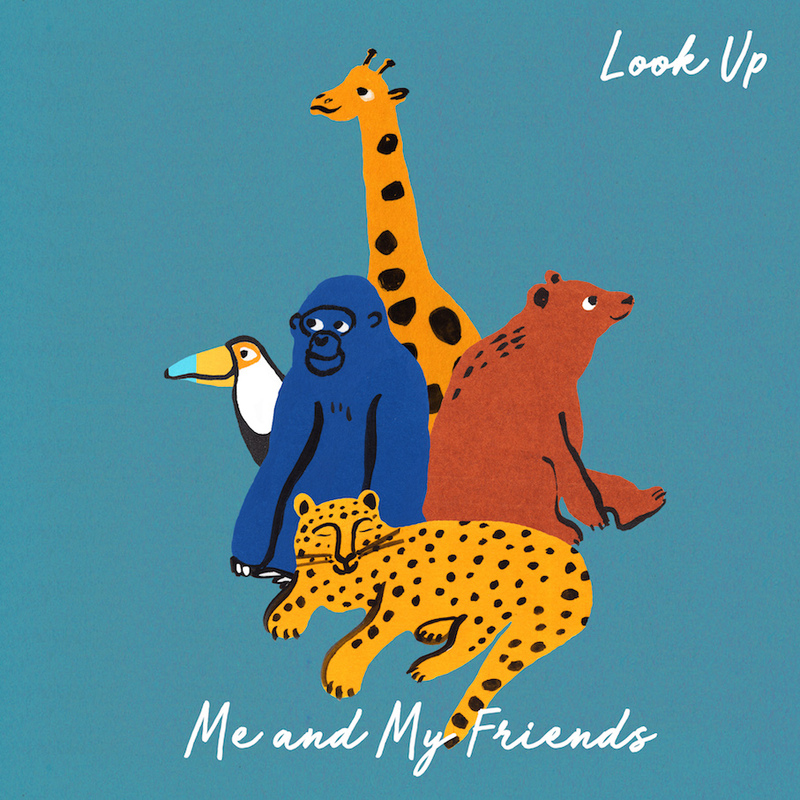 On ‘Look Up’, Me and My Friends have refined their signature sound into one that travels through many styles and influences and yet remains with you in a wholly unique way.